Rye Davis stands with his retired jersey banner with the Wildcats. 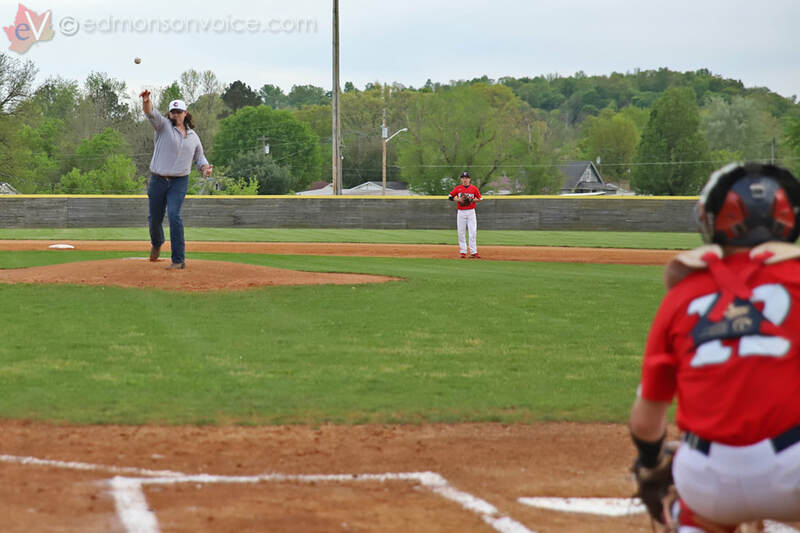 It was bittersweet baseball last night at Wildcat Field where Edmonson County lost their third game in a row in a tough match to district rival Butler County, but a pregame ceremony brought back good memories from a former Wildcat. 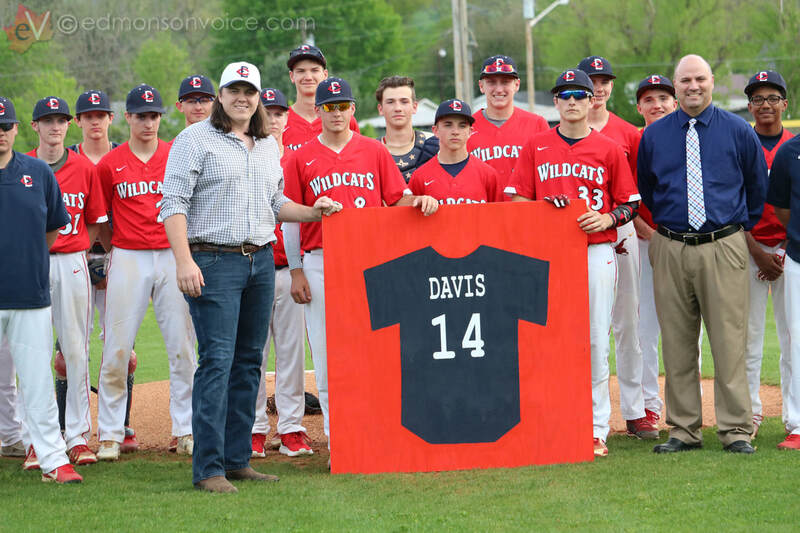 The team officially retired former pitcher Rye Davis' jersey last night and recognized the 2007 ECHS graduate that went on to test the waters in professional baseball. Davis throws out the ceremonial first pitch. Davis was a 6-year starter for the Wildcats who was named all-district 5 times and a 2-time All-Region player during that span. 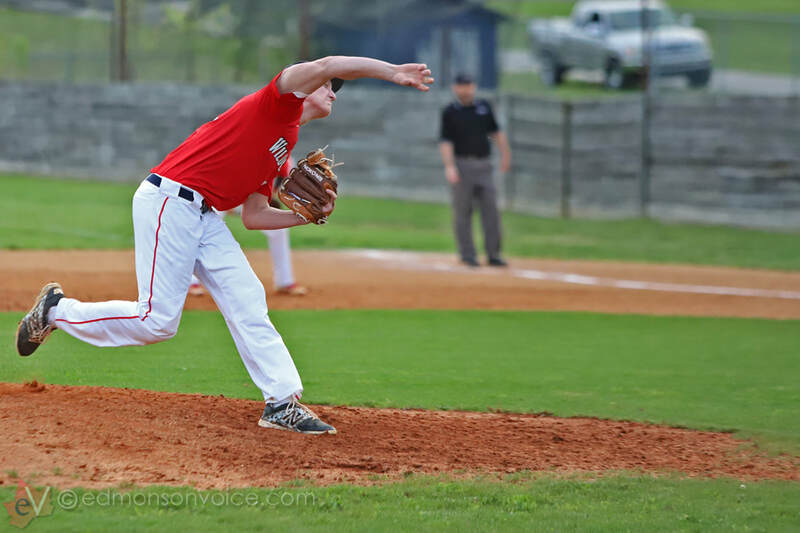 He notched more than 300 strikeouts as a Wildcat, racked up more than 20 wins with multiple no-hitters and finished his high school career with a 1.80 ERA. He went on to pitch at WKU where he was named All-Conference multiple times, enjoyed two conference championships, was a Hilltopper team captain, and was recently named to WKU's All-Century team. He currently holds the record for most saves and appearances for WKU. After college, Davis signed with the Phillies and pitched in their minor league organization for two seasons. Davis now is pursuing a career in country music as a singer/songwriter. He performed the National Anthem just before he threw out last night's ceremonial first pitch. 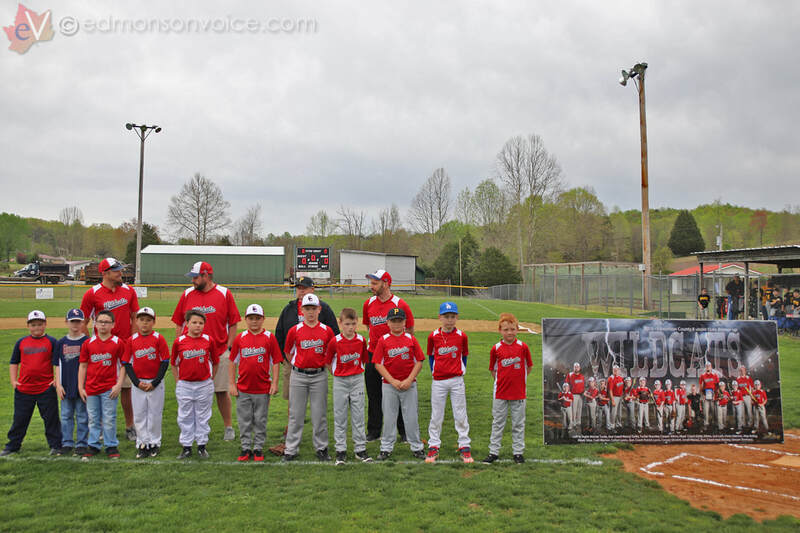 He spoke to the Edmonson Voice about the special night. "This is pretty cool," he said. "To be able to have played the greatest sport in the greatest place in the world is pretty special." Nick Clemmons (18) beats the throw to first with an infield hit. 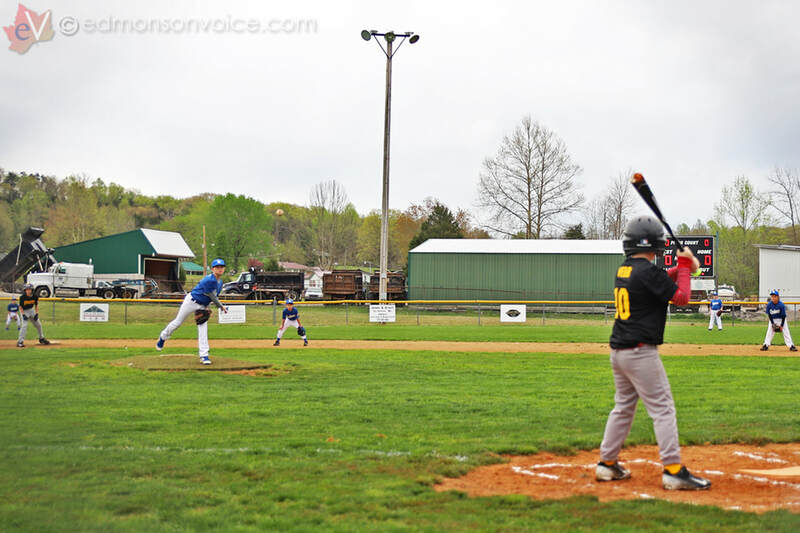 Jacob Vincent delivers a pitch against Butler County. 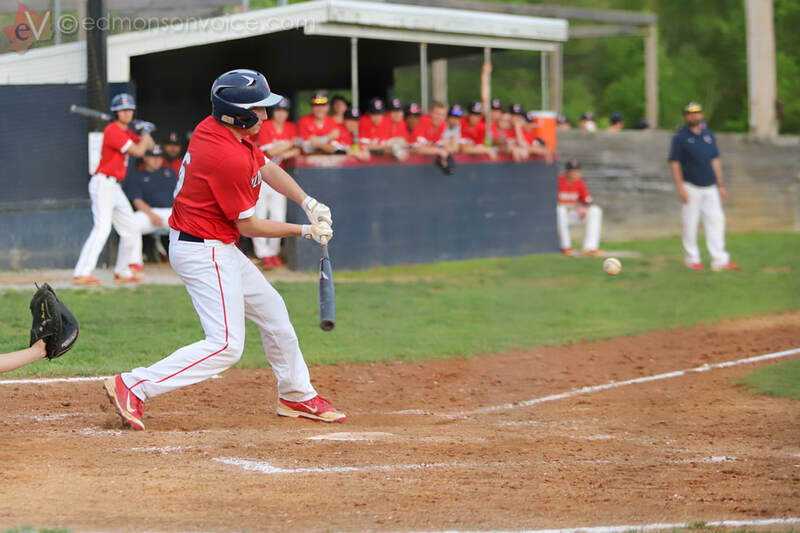 Edmonson County's bats, however, would be a different story as the Wildcats only mustered up three hits against the Butler County Bears in a 2-0 loss. 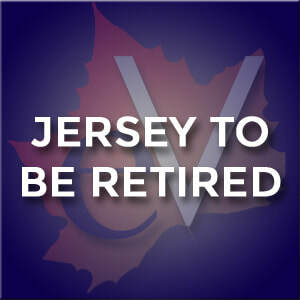 Jacob Vincent went 3.1 innings for EC, giving up 3 hits, walking 4, while striking out 3. Chaz Wilson came in and gave 3.2 innings, giving up only one hit while striking out 3 with no walks. Gavin Rose takes a swing at a pitch against Butler County. Chaz Wilson delivers a pitch against Butler County. Hunter McKee went the full 7 innings on the mound for Butler County, striking out 11 while only walking three. 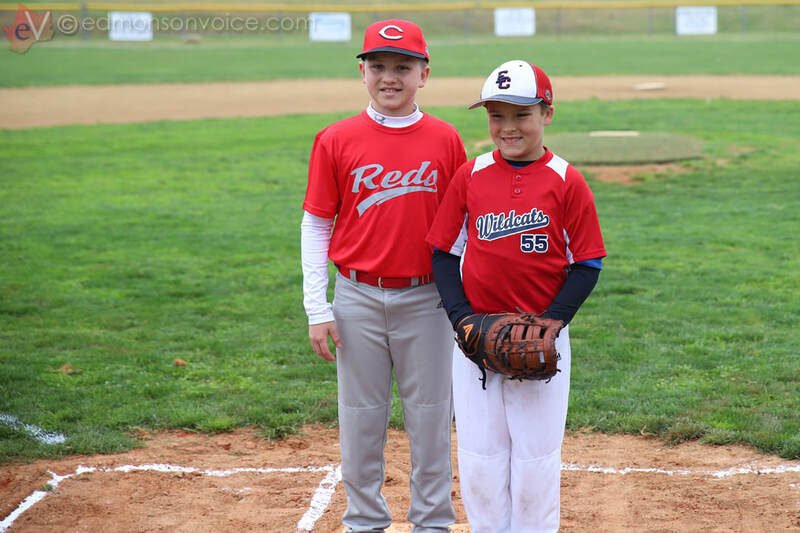 Nick Clemmons went 2-3 for the Cats while Gabe Lindsey added the other hit, going 1-3. 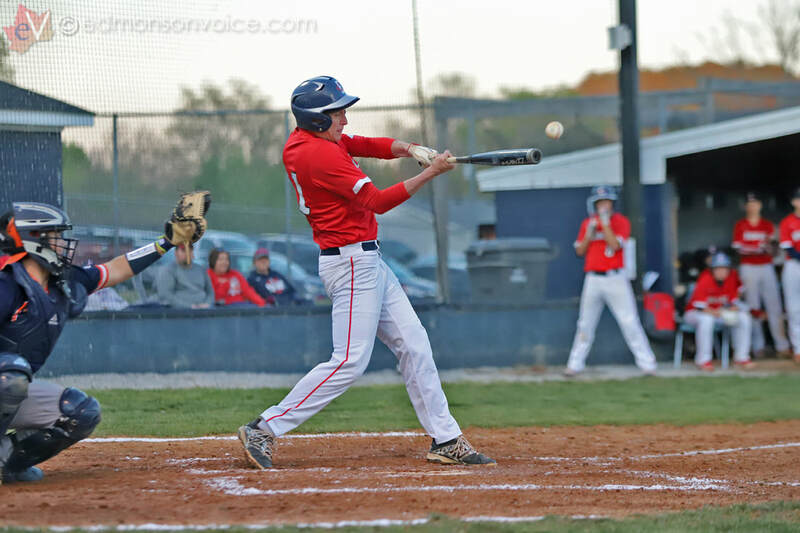 Edmonson County is now 12-7 on the season and is scheduled to take on Russellville at home on Thursday, April 25th at 6pm. ECHS baseball has announced that former Wildcat standout Rye Davis will be honored next week in a pregame ceremony. 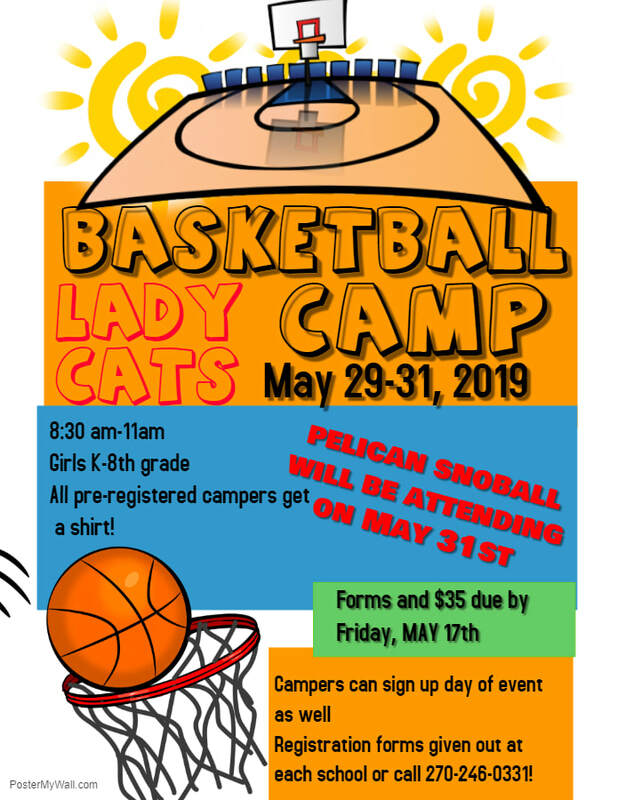 The team said Davis, who now is more commonly known as a country singer/songwriter, is scheduled to sing the National Anthem at Wildcat Field Tuesday, April 23 before the district match up against Butler County. Davis pitched for ECHS, then WKU before being a part of the Philadelphia Phillies organization for a short period of time before an eye injury hampered his baseball career. After Davis sings the anthem, an on-field ceremony is scheduled where the team will officially retire his jersey. First pitch is scheduled for 5:30pm with the pregame ceremony scheduled just before. **correction: 4/16/19 5:09pm: this article was corrected to reflect that Davis' pro career was with the Phillies, not Indians as first written. Davis was drafted by the Indians but chose not to sign. He signed with the Phillies as a free agent. Chaz Wilson singles in the tying run in the bottom of the 7th to force extras, but the Cats fell to Grayson, 6-3. 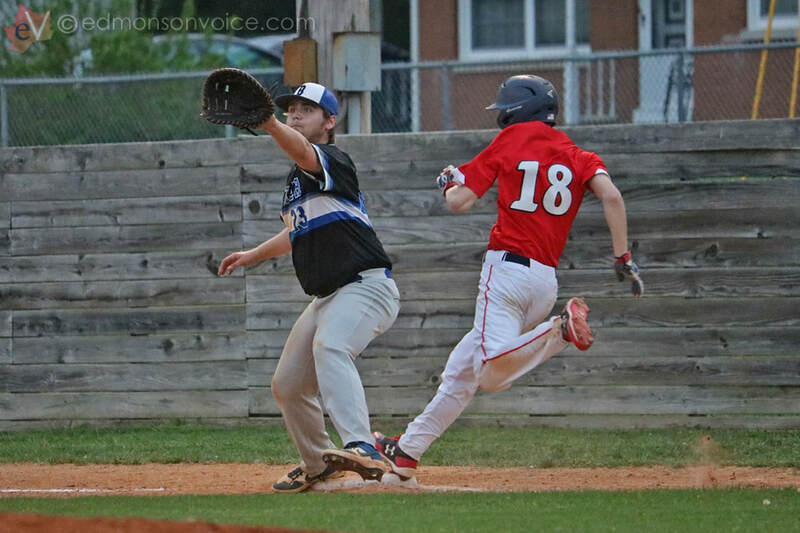 The Wildcats pulled some 7th inning heroics to come from behind and force extra innings, but it wasn't enough as Grayson County put three runs on the board in the top of the 8th to claim the district win on Monday night. Down 3-1 going into the 7th, Nick Clemmons reached on a single with one out. After a strikeout, Gabe Lindsey singled and advanced Clemmons to second. Preston Dunn then singled to right, which scored Clemmons and advanced Lindsey to third with two outs. Chaz Wilson then hit a hard liner to left to score Lindsey to tie the score at 3-3. Grayson County was finally able to stop the Wildcat offense and play continued into the 8th as the Cougars looked to regain the lead. Tanner Woodcock delivers a pitch against Grayson County. They did just that as the first three batters reached on two singles and a double, which scored a run. 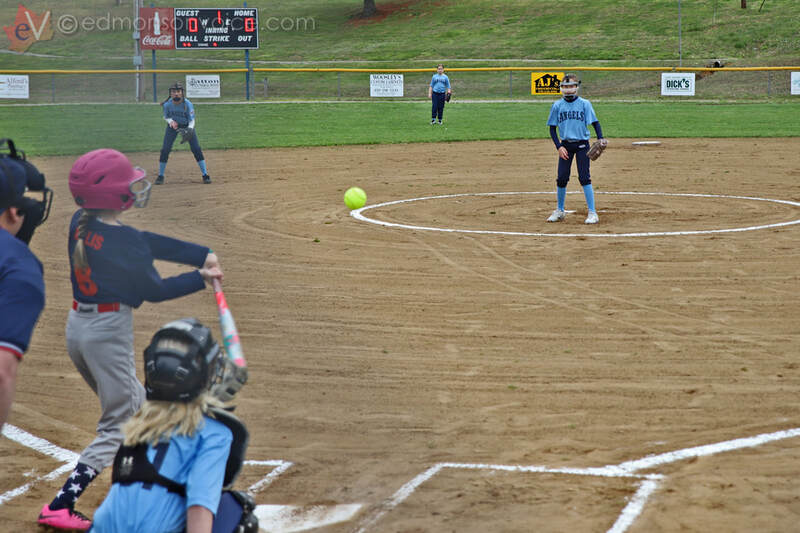 Grayson County was also able to score two more on groundouts to first to take a 6-3 lead. 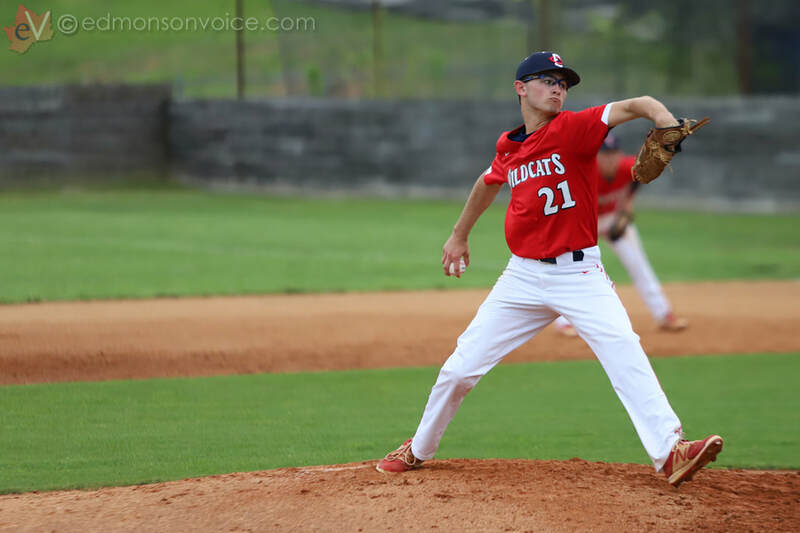 Edmonson County was unable to reach base in the bottom of the 8th as the Wildcats fell. Chaz Wilson went 3-4 with 2 RBI, Gabe Lindsey was 3-4, and Preston Dunn was 1-4 with an RBI. 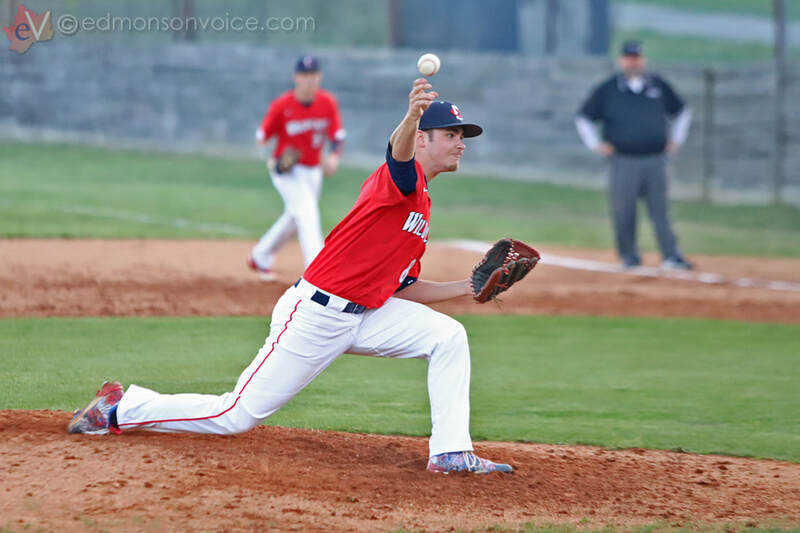 Tanner Woodcock went the distance for Edmonson, pitching 8 innings, giving up 10 hits, 6 runs (2 earned), and one walk while striking out 3. Edmonson County is now 11-4 on the season and is 2-1 in District 12 play. The Wildcats are scheduled to take on Grayson County again tonight in a rematch at Grayson County. First pitch is scheduled for 5:30pm.